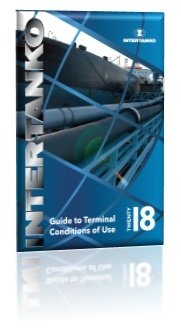 INTERTANKO has put together a new publication by way of response to Members drawing our attention to what the industry refers to as “Conditions of Use” (COU) documents that many oil and gas terminals require the Master to sign, acknowledge receipt of or accept. In almost all instances the Master is required to sign the COU as a precondition of being permitted to berth and load and/or discharge at the terminal. Don’t forget that Members are entitled to a 50% discount off all INTERTANKO titles. provide owners/operators and Masters with a number of tools designed to produce fair and balanced contractual terms in order to promote a safety culture in port. The Guide also considers how charterers ordering vessels to terminals which impose onerous COUs may not only share the risk but may also indemnify owners for any uninsured liabilities or losses arising from the COU. It takes in both the crude and LNG sectors as there are some notable differences in approach for each sector, in particular on the part of P&I Clubs and it may equally apply to product, bulk and other trades where COUs are used. Overall, the Guide is designed to inform Members about this difficult issue and assist you in agreeing fair and balanced COU terms in preference to the onerous terms that are commonly accepted to the detriment of owners and their insurers. You can order your copy of this invaluable publication here.